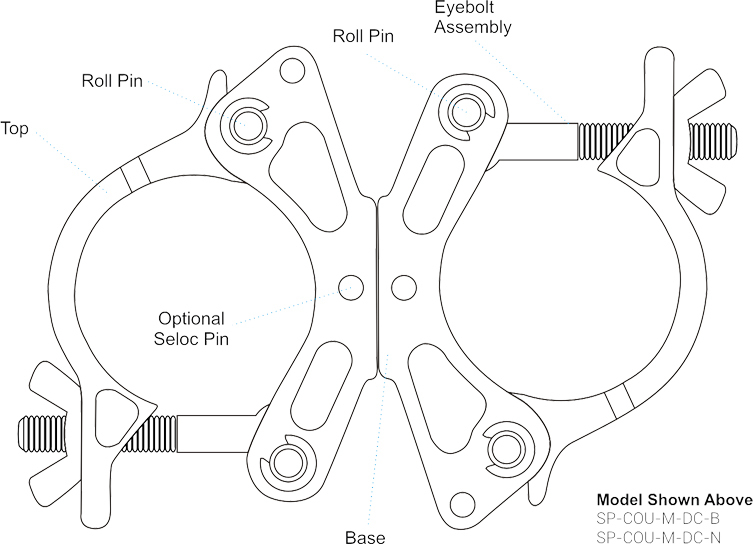 Ideally used for suspending small to medium sized event technology fixtures from piping or truss structures. 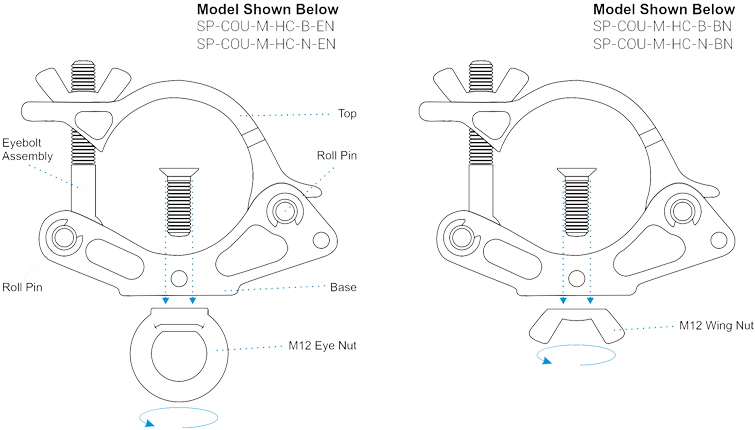 or M12 Eye Nut, enabling the user to create exciting fixings to meet their own individual needs. 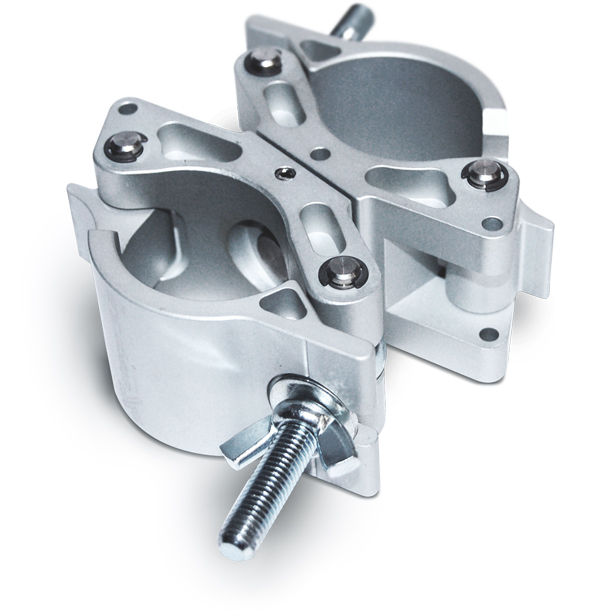 The SP Half Coupler is manufactured from structural grade 6082-T6 aluminium, and was designed to suit 48mm to 52mm diameter tubing. enabling the user to create exciting fixings to meet their own individual needs. 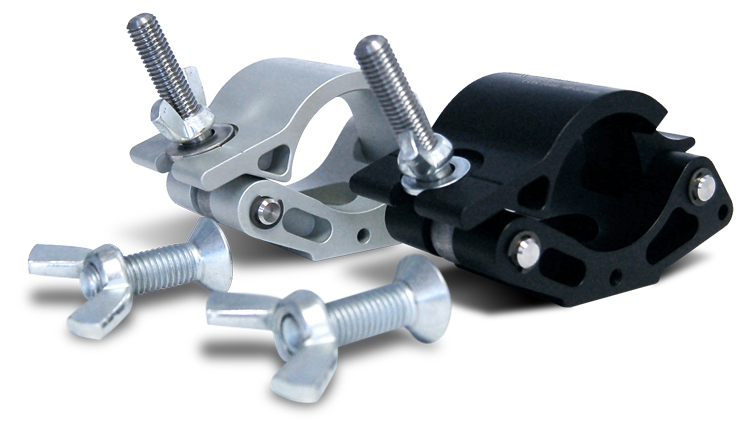 The Stage Plus Swivel Coupler is manufactured from structural grade 6082-T6 aluminium, and was designed to suit 48mm to 52mm diameter tubing.